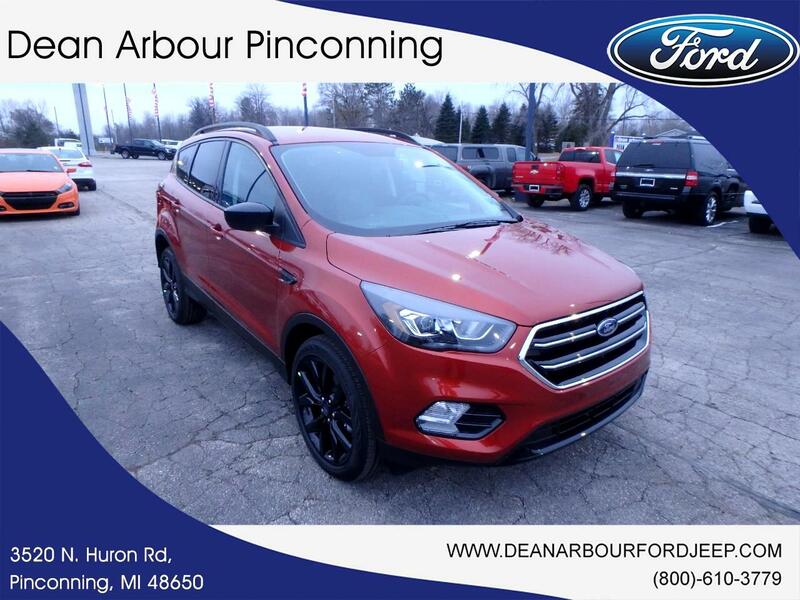 This new 2019 Ford Escape in Pinconning, MICHIGAN balances fuel efficiency with power. Its a v4 Sedona Orange Metallic SUV that helps make driving safer for the whole family. Interested in this SUV? Visit Dean Arbour Jeep Eagle to schedule a time to test drive the 2019 Ford Escape.